WICB president Whycliffe âDaveâ Cameron said: âIt was with a sense of shock and sorrow that we learned of the death of Philip Hughes and I know that these feelings are shared by all who knew him and played with or against him. âThere is little one can say at such a time, but we would like to express our very sincere sympathy to his family, friends and all those involved with the game in Australia. 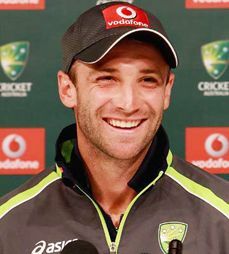 âThis is truly a tragic loss of a fantastic young player who promised to deliver so much for Australia and who has already done so much in proving his pedigree as a top flight batsman on the international stage.